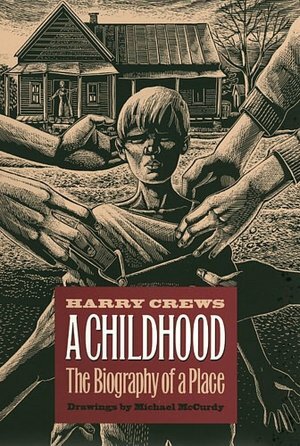 New biography of writer Harry Crews reveals the pain he carried. 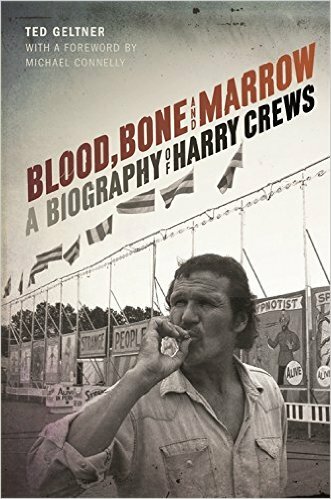 Blood, Bone and Marrow: A Biography of Harry Crews by Ted Geltner. University of Georgia Press, 360 pp. How do you like your blue-eyed boy, Mister Death? My interest also was kindled because I recently wrote a 15-page essay about my time at University of Florida when Harry Crews was there as the famous writing teacher. I’d had a near miss with a bad man when I was 19, working on a farm in Melbourne, and my essay is about that and my writing apprenticeship at UF and how the two connect. How I really needed Crews to teach me how to use the incident properly instead of writing around it in fiction and nonfiction as I did. At last I’ve written that story of my close call and included Crews. Oh, the appeal and fear Harry Crews held for me. My father having sold our Georgia farm when I was a boy, I’d grown up in a Florida beach town and felt Crews, a true Georgia grit, would smell it on me. He was authentic; I wasn’t. I did take a fiction-writing class from one of his graduate students, a burly fellow with a shaved head, fairly intimidating itself in the mid-70s. Geltner’s book made we want to read Crews’s darkly comic novels, and I was able to read a key part of his unfinished second memoir, Assault of Memory. The excerpt was published as the essay “Leaving Home for Home,” in the Winter 2007 issue of Georgia Review (you can access the essay here by clicking on Read Online Free and setting up a temporary JSTOR account). I was spurred by Geltner’s revelations about the abuse Crews suffered as a boy. Crews writes in this essay that he and his young friends were molested by male and female motorists when they hitchhiked. And he also reveals that his much-older brother abused him emotionally, physically, and apparently sexually. The essay is set when Crews was ten and flees a Greyhound bus because of a racist who is threatening him for being friendly toward the black people seated behind them. Crews wanders across a landscape beset by thugs and sexual predators, trying to get home, but must also avoid his brother waiting there. A kindly prostitute gives him shelter for the night. My God, I thought, the man suffered enough trauma for ten lifetimes. I don’t mean to reduce him to this—he was gifted, and pursued that gift. He wrote his 500 words daily. He’d never see himself as a victim, it was clear from Geltner’s study, or even as a “survivor” probably. But one can’t help but think his brother’s cruelties along with incidental abuses scarred him. I also thought of such a different writer, Virginia Woolf, who likewise late in life began to write about being sexually abused by her stepbrothers. As I begin another reading of A Childhood for my review, I hope to focus on the precise reasons why I and others revere this unusual memoir. But Geltner’s Blood, Bone and Marrow and Crews’s “Leaving Home for Home” have imparted knowledge that inescapably casts its own shadow. I’ve decided it was good I did avoid him, Shirley. I regretted it for a while, as evidence of my timidity, but in a way got over that by writing about it! Intriguing! I remember Crews from my time at UF, but never actually encountered him at The Swamp either. I bet I had some lectures in the room that’s in the photo though. Go Gators! Yes, it looks familiar to me too, Lanie. I wouldn’t wish the 1970s on anyone, but what a place and time . . .
Hi, Richard. Even reading about Harry Crews fills me with a dread and fear. He may have had a gift, but I would have been steering clear of him were I a student there too. Sometimes gifted people are “given” their gift as a payback for everything they’ve suffered, and they are themselves unable to separate the two, as it sounds like, at least, here. He was a tough case, Victoria, of that there’s no doubt. Life a wreck, by most standards, not a good model. And his “Leaving Home for Home” essay is one of the darkest things I’ve ever read. All the same, I agreed to review A Childhood. So I guess this is my sandbox! I tried reading his memoir and just couldn’t get into it but may go back to it now that I’ve read this and your fabulous essay. Thanks, Jan. The memoir is about a lost world, almost unimaginable, a poor agrarian world run by mule power. So I can see where it’s a challenge. But his diction and sentences amaze me. And thanks again for reading my draft! You’ve got me going back to a sealed up box of books to reread A Childhood. I believe that’s where Crews writes something like “If you don’t leave home you suffocate; if you go too far, you lose oxygen.” Something like that. And it’s a phrase I hold in my mind every day. You’ve given me 6 good things in this post: 1. The post itself, the pure pleasure of reading it. 2. Ted Geltner’s book — got to get it. 3. Looking forward to reading your review of Crews’s memoir for RiverTeeth. 4. Eager to read your essay about your near miss. 5. The Georgia Review excerpt. That’s a bunch. You’re most welcome, Beth. Happy reading! I think the long Georgia Review essay is the darkest thing I’ve ever read. But it was his truth. And the 6th thing is a memory jog about my time at University of Florida when I went on a date to the big metropolis of Micanope, perched on the back of an open convertible listening to the bright sounds of Chicago Transit Authority singing “Wake Up, Sunshine” in front of an old ramshackle two-story house. My date was a grad student of Crews and supposedly crashed in that house along with other students and the wild man himself. And that place is in the book, Beth! Richard, how do you think his writing affected Crews? Do you sense healing happening there? Was he able to get beyond/through his pain or was he simply reporting it? I look forward to your essay. Dave, I think he used his pain to fuel his writing, which other than journalism was mostly fiction. I think he used his past (which included his pain) to imagine people, events—but it’s important to note his fiction is distinguished for being wildly or darkly comic. A lot of humor. His nonfiction seems problematic in the terms you pose, however. From what he said and wrote, HE believed that writing memoir stirred his deep personal pain. This is hard for me—while I don’t dare claim that personal nonfiction heals (it does give insight, which can feel or maybe be the same), I hate to think writing memoir can activate pain. I know, in my case, that sticking with a piece long enough can sometimes change beneficially one’s view of a settled narrative. Yet memoir seemed to torture Crews, and as I said, he thought it did. Look what he called his late, partly published and maybe unfinished memoir: Assault of Memory. I’ve read three essays from it, and the long essay I mentioned that you can access on line from Georgia Review, “Leaving Home for Home,” expresses one of the darkest views of life I’ve ever read. I don’t find it depressing because of its artistry—the language, the syntax, the sentence rhythms, the structure, the captured content—and artistry is what helps writing transcend mere venting of unprocessed pain. There is demonstrably a wiser or at least functioning older self at work to create art from experience. While artistry and the perspective it implies salvages a memoir, at least to a degree, for readers, the writer can still be left up a creek, I guess. I can’t help but wish he’d gotten help, therapy, but I am almost certain he’d have felt he would have talked out instead of written, or that it would have harmed him artistically in an even deeper way—taken away his desire. That’s almost certainly false, I feel. Happy or at least peaceful writers usually produce more in the long run, I want to believe, or at least avoid more unnecessary suffering. The only thing suffering ever taught me is not to suffer. I no longer believe there was much if any link between Hoffman’s overdose and his roles. Yet was there a link between the self that wants to make art, and can at his level, and certain tendencies. He seemed to think his sensitivity was a double-edged sword. The short answer seems to be that art allows people to express pain, but it doesn’t create that pain; it may not heal pain, either, but probably doesn’t worsen it. Thank you, Richard. I will read both the Crews essay and yours. You answer above made me reflect on my own life, aware that I have had seasons of pain and seasons of peace. Personally and internally, St. Mark’s was a painful period. Pain was fuel there. In writing/preaching I was able to create a world far more whole than I actually was. Writing was hard–my sermons felt extruded–but the process of writing gave peace. Later, in a peaceful period, I wondered if I would be able to write as well without the pain, thinking that maybe I needed it. Actually, i found that writing was easier then–just writing was a lot more pleasant than extruding, Today I am in my most peaceful period, and the little writing I do is pure joy. Also, ideas are bubbling up more frequently than when in a season of pain. This, I realize has nothing to do with Crews and that I am not struggling with memoir.. I guess my testimony is that writing without agony is possible. Also, as a puttering oldster, I think I am enjoying writing more because I no longer feel the need to prove anything, I am who I am, and it is what it is.